Fun. Comfortable. Midlife. Replacing my beloved 15 year old tuned Saab. I want acar with a manual transmission. It probably needs to be 4-5 doors for getting my kids in and out. I like my cars to have a unique appearance, so that when I arrive anywhere people know it's me as opposed to wondering whose anonymous car it is. I'm a 20-year Saab driver, replacing my 15-year old 9-5 which is tuned and with suspension upgrades- I like to go fast, handle well, and stop fast. As a Saab guy I've always had FWD cars (with the exception of a 2004 Volvo V70R which was a very FWD-biased AWD); I'm generally more comfortable in a FWD car instead of RWD. Too few automakers are offering manual transmission, especially on wagons. I'm not a huge fan of VW/Audi anymore because of the dieselgate scandal - why do business with a car company who lies to regulators and the public? So upon scouring the available cars, I'm not really finding anything new to buy, but need something. Any suggestions? 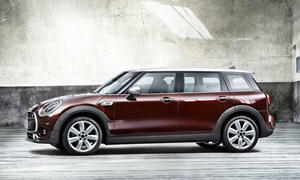 Mini Clubman: The new versions are larger and have decent space and they certainly have a unique look. Best thing is that they still offer a 6 speed with all models. Get the upgraded engine for good performance. They can get expensive with options, but Mini's are essentially BMW's and offer BMW level luxury. This is the only Manual car that I could find that fits your requirements. BMW offers a manual in the 3 series Sedan, but not wagon. There are manual cars like the Nissan Juke or Hyundai Veloster, which are unique, but I'm assuming this isn't your taste, especially if you value material quality and workmanship like I do. 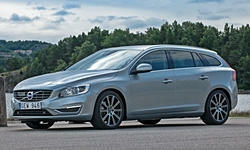 Volvo V60 R Design Wagon (or Polestar): Great looking car and unique in the USA given that it is wagon shaped. No manual, but manual shifting mode is said to be good. Turbo charged engine puts out good power in T5 form and great power in T6 form. FWD or AWD offered. 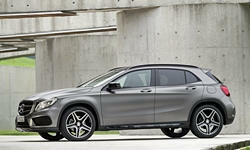 Mercedes GLA250: Mercedes calls this an SUV, but it is basically a fun hot hatchback with a slight lift. Being a Mercedes hatchback, it is slightly unique in the USA. The 2 liter turbo 4 provides decent power. Again, no manual, but it does have a seven speed dual clutch with paddle shifters. Interior layout is top notch and clean. Ford Flex: Probably a strange suggestion, but it is very unique, and is essentially a large wagon, built on the Taurus chassis. With the optional 365 HP V6 it can be a lot of fun, although won't be agile like a smaller car. Kids will love the space. Traditional Automatic is a big downside but at least it won't blend in with the sea of regular people and their crossover SUV's. 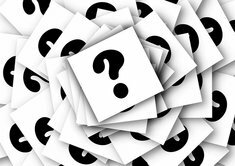 As you can see, it is mostly trucks, high performance cars, or base model sedans/hatchbacks. As I said before, if you have never tried a good dual clutch transmission, you should. I have had several VW's with DSG's and my GTI transmission is great. Manual mode with the paddle shifters or gear lever is truly fun and shifts are lightning quick. Completely different than the pseudo manual mode with Automatic transmission cars with torque converters. Honestly, I think you should try looking in a different segment than you are currently considering. I have owned quite a few fun cars and I understand the need to tune cars and enjoy the same passion for cars that you do. I think you should consider two of the following cars. 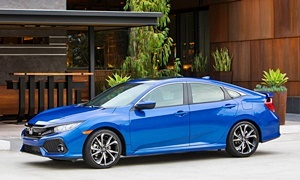 First is the brand new civic hatchback. Comes with a 6-speed manual and is turbocharged. Personally, I was never a "Honda boy" but the total redesign has caught my attention for the car. I think you would be very impressed with the new Honda. Due to your budget, you could wait and get the new Type-R variant coming to the United States in the next few months. It will be plenty sporty, with the manual gearbox and you will for sure stand out. As far as tinkering and bolt-on's go I am sure there will be a very strong aftermarket community for the car. 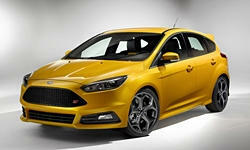 The next car I would recommendis the Ford Focus ST or RS versions. Amazing cars, I am sure the RS has caught your attention as it has made a pretty large impact on the market already. Both the ST and the RS are great cars for the fun/family segment. Already there is a great aftermarket community for the platform and I think you will enjoy the car. 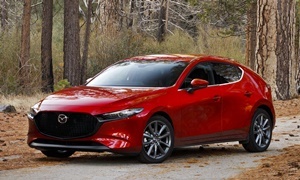 My last recommendation would be the Mazda Speed 3. While I am a little biased on this car (I own one), it is an excellent car. Amazing power maker and an awesome gearbox. I have a ton of fun driving this car and it is plenty big enough to fit all of my stuff when traveling around. Also there is a large support for aftermarket goodies. Only real draw back on this model is the turbo does not last long once the car has been modified, however, if you are looking for some exciting tuning and bolt on stuff there is a very large community that will help you with that! Even though I own a speed 3, I would have to recommend the Honda Civic Hatchback. Take one out for a test spin and I think you will be very impressed with what Honda has created! Best of luck! Two very good responses above. One small correction to the first: while the 2014 and newer BMW wagon hasn't been offered with a manual, the previous generation wagon was. For distinctive styling, though, it's probably not possible to top a properly optioined 2016 and up Mini Clubman. 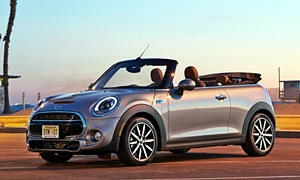 The less expensive hatchbacks suggested by greeny27 are all worth a look, but none are as distinctive as the Mini. 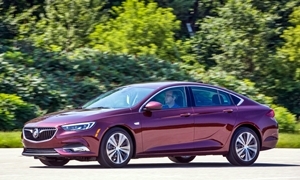 Buick Regal GS if you want 6-speed manual. Or get the all wheel drive if you don't mind the automatic as it is a good one. This will be most lime your Saab as it is an Opel Insignia in Europe. 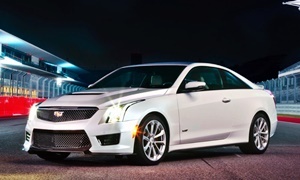 The 2013 Cadillac ATS 2.0T offers manual transmission and near 50/50 weight distribution for one of the most balanced cars available under $20,000. You can tune the ATS 2.0T and see some nice gains and you'll quick be impressed with the new technolgy of variable valet timing and directed does for a turbocharged engine as Honda is just finding this out over one decade after GM started it. Or go Performance model with Magnetic shocks along with Brembo brakes there will not be much need for upgrades as they were already designed into the car.